Our music rehearsal at the MIT Chapel to support local artists in Boston/Cambridge. (Piano: Alex Lascelles, research assistant, MIT). Piano:Alex Lascelles, research assistant, Massachusetts Institute of Technology. iano:Alex Lascelles, research assistant, Massachusetts Institute of Technology. My music performance for elders in collaboration with Friendshipwork, one of four winners to receive "the In Good Company: 2018 Optimal Aging Challenge Award", created by a collaboration of the MIT AgeLab, Massachusetts Governor Baker's Council to Address Aging in Massachusetts, Benchmark Senior Living, and GE Healthcare , Boston. Have I Told You Lately that I Love Youte of Technology. 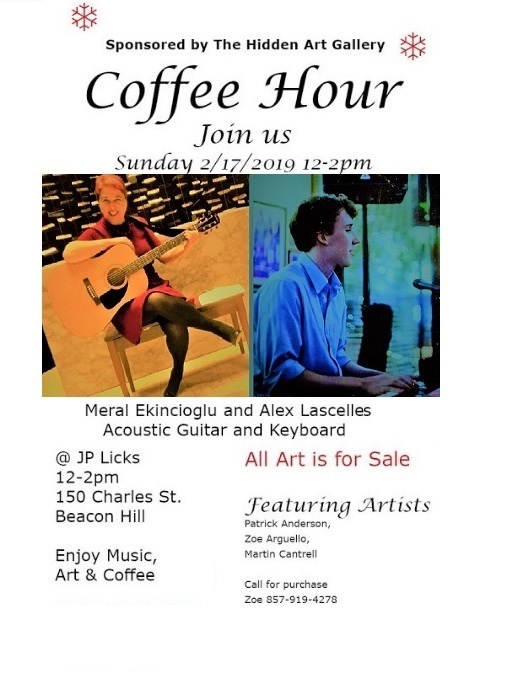 In February 2019, I and Alex Lascelles, research assistant at MIT (in cognitive/computational neuroscience field) came together to play and sing in order to support local artists in Boston, another artistic organization by Zoe. As an astrophysicist-turned-neuroscientist, Alex has been pursuing a career with his broad interest including brain augmentation, memory, plasticity, the interactions between how we see and hear, and drawing is his deep-interest (3). Funk, blues and jazz are among his favorite music genres, and he enjoys playing piano with his contemporary style. It was a great time to practice in the spiritual and well-designed acoustic space of the MIT Chapel together before our performance for the Coffee Hour at JP Licks (4). This event was another creative experience for us to bring music and paintings into the social life in the city: Like architecture, music is also a social construction to unite people from all over the world! 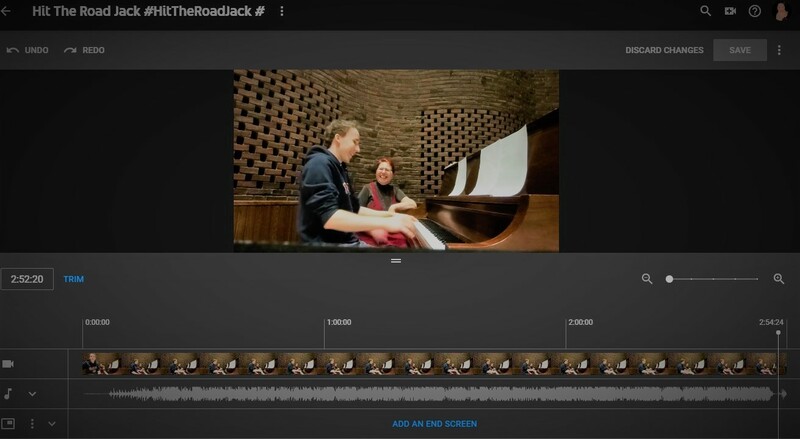 (3)For Alex Lascelles, please see, https://www.alexlascelles.com, accessed on 3.20.2019.
please see, https://link.springer.com/content/pdf/10.1007/s00004-010-0027-3.pdf, accessed on 3.20.2019. Music is one of the most powerful creative and social glues to connect people, cooperate, care for each other, and support our community in a harmonious way. In this respect, I really enjoy sharing music with other musicians, artists and various groups of people in the society, such as elders, etc. 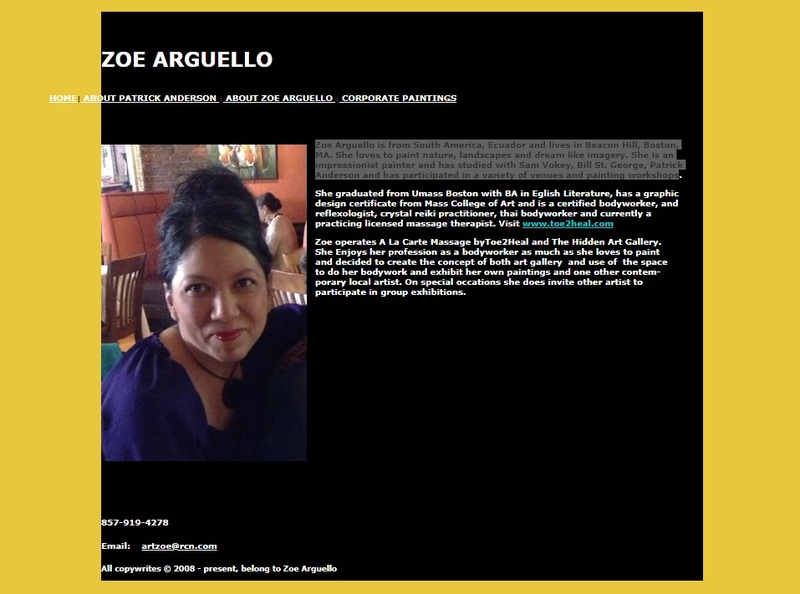 When Zoe (Arguello) kindly invited me to play and sing with other musicians to support local artists in Cambridge and Boston, I never hesitated to accept this idea!. 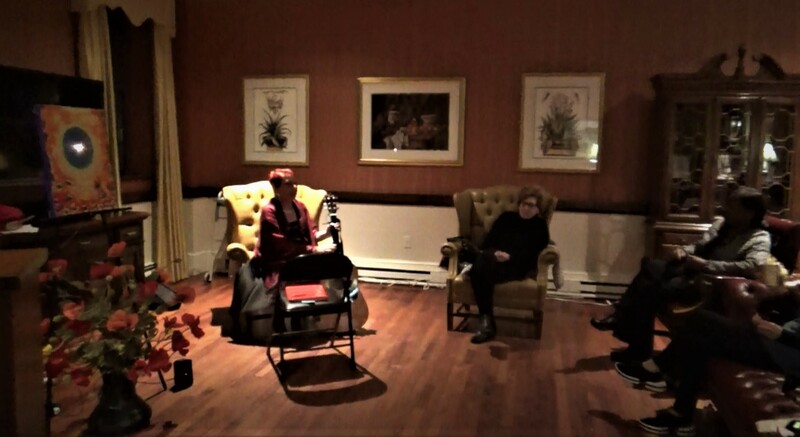 In March 2019, Linda Marks, singer-songwriter, I, Zoe and other participants gathered in order to celebrate “women’s month” by sharing our music, songs and poems at Beacon House, a historic building in a charming historic neighborhood of Boston. As a feminist scholar (in postwar architecture history), it was a pleasure for me to join that fabulous organization with my acoustic guitar and vocal. While celebrating “women’s month”, we played and sang to support local artists’ paintings and to share a friendly and artistic time with elders as well. Among paintings by creative artists of the city and flowers, it was a really inspiring and intimate evening for all of us: Following the first part of music and poetry, we practiced meditation together, and then, talked on art, music while having our coffee with delicious cakes and snacks. 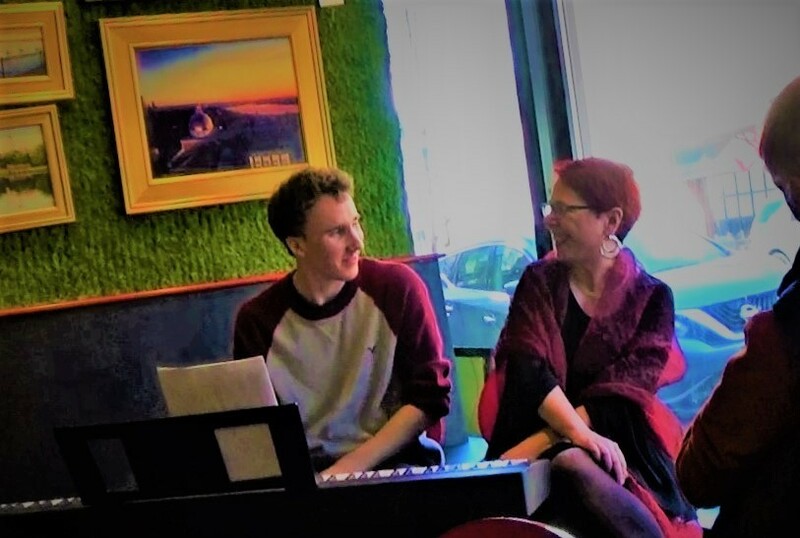 During the evening, Linda performed her own songs on the piano, and I sang some well-known movie songs from the 1930s, jazz standards and popular songs with my acoustic guitar. Linda is one of the significant women figures in music, art and “heart-centered body psychotherapy” in the area (1): Having her degree in Music with honors from Yale University, where she co-founded “Something Extra”, Yale’s third a Capella singing group, she loves to help people for their healing through her “Power of Voice” workshop and coaching, and has been organizing “the Music Salon” to bring people together and build community through music and art. Working in the mind-body medicine field, she served as a heart-centered body psychotherapist and life coach for more than 30 years, and is the author of two books: Living With Vision (Knowledge Systems, 1988), and Healing the War Between The Genders (Heart Power Press, 2004). Zoe, the organizer of that event is an impressionist painter, loves to paint nature, landscape, dream-like imagery, has been operating the Hidden Art Gallery in Boston, and organizing creative artistic events to support local artists in the location and to build community (2). Graduating from UMass Boston with BA in English literature, she has a graphic design certificate from Mass College of Art where she studied art history and painting. Founded in 2011, the Hidden Art Gallery exhibits impressionist, abstract and representational works by artists of Boston; and most paintings in the gallery portray the city’s leading landmarks and most visited places. celles, research assistant, Massachusetts Institute of Tegy. Copyright©2019 Dr. Meral Ekincioglu, All rights reserved.